Takeda has revealed that it is set to bolster its novel immuno-oncology portfolio with three new research collaborations. The Japanese pharmaceutical firm has struck an alliance with the Memorial Sloan Kettering Cancer Center (MSK) in New York City, while also expanding two existing partnerships. The deal with MSK will focus on the discovery and development of CAR-T drug products to treat blood cancers and solid tumours, including multiple myeloma and acute myeloid leukaemia. Michel Sadelain, former scientific founder of Juno Therapeutics and current head of MSK’s Center for Cell Engineering, will co-lead the partnership. Secondly, due to the success of its collaboration with Noile-Immune Biotech struck in September last year, Takeda has chosen to exclusively license the candidates NIB-102 and NIB-103 in the treatment of solid tumours, with plans to secure regulatory approval for the former drug by the end of 2019. 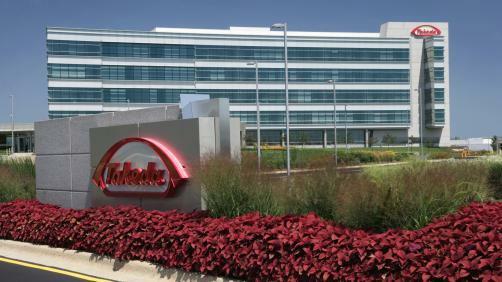 In taking these candidates forward, Takeda will leverage Noile’s proprietary proliferation inducing and migration enhancing (PRIME) CAR-T platform. Similarly, the firm said it would be exercising an option in its existing partnership with Crescendo Biologics to evaluate the latter’s Humabody VH small protein therapeutics in the development of novel CAR-T therapeutics. Dr Stefan Wildt, the company’s Head of Pharmaceutical Sciences, also added: “There’s an incredible opportunity to combine promising external innovation with the power of a fit-for-purpose translational cell therapy engine to accelerate the development of truly novel cell therapies. We have assembled a very talented team with deep and relevant cell therapy development experience who will help us achieve this goal."